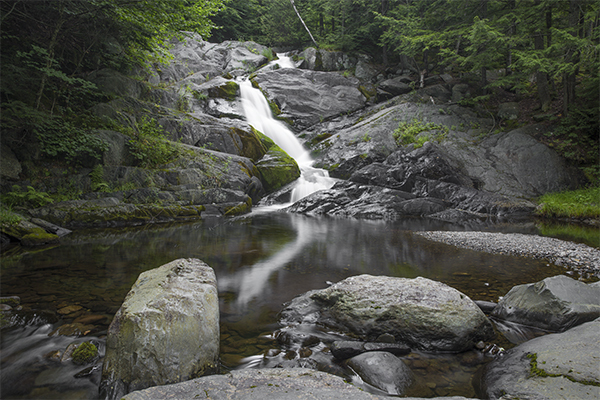 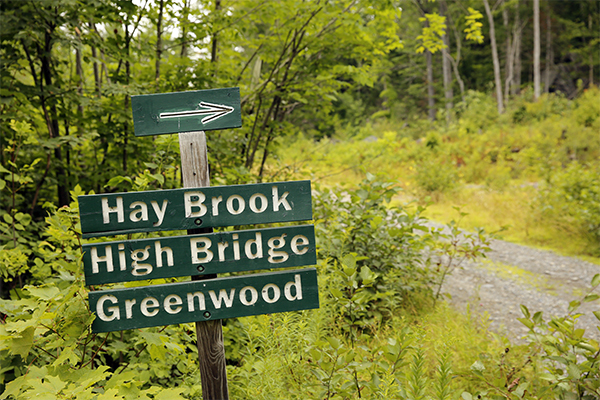 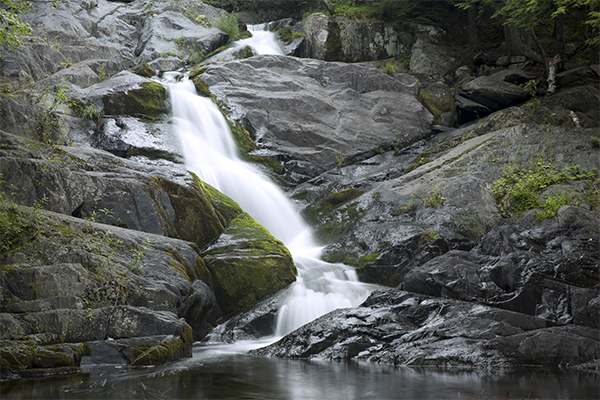 Seldom is a natural feature found in New England that is truly still off the beaten path. 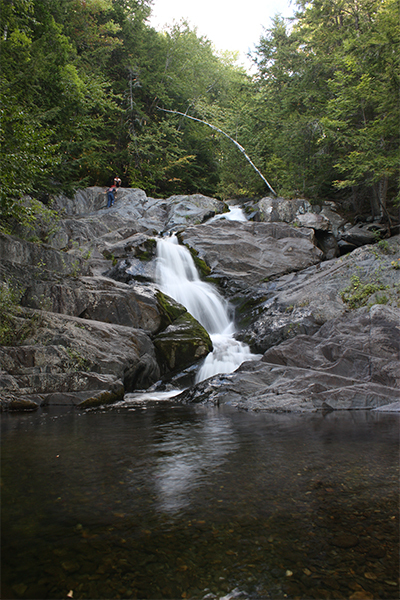 These falls are still tucked away from the average traveler and sightseer as they lay deep within the KI Jo-Mary Multiple Use Forest. 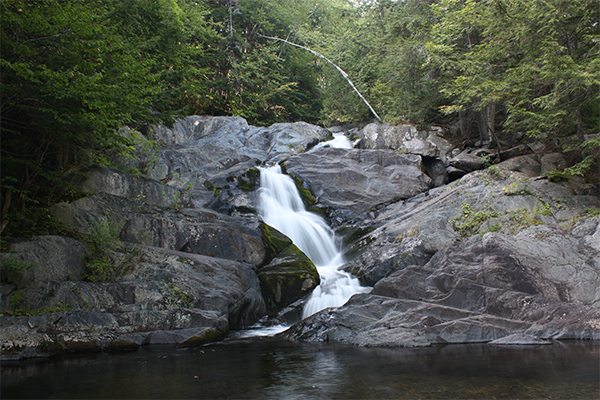 The falls remain as nearly untouched and unspoiled as ever. 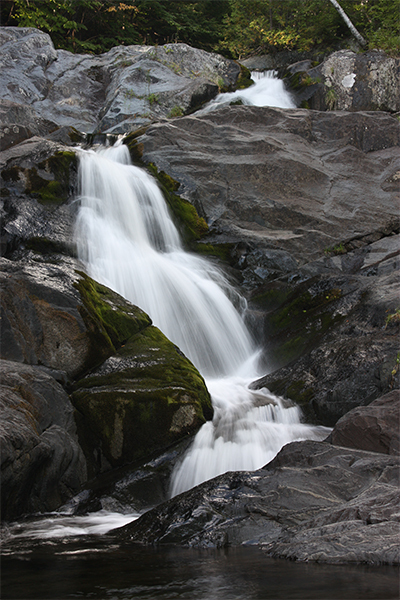 Equally scenic in low or high water, the falls drop a total of 28 feet in three distinguishable steps. 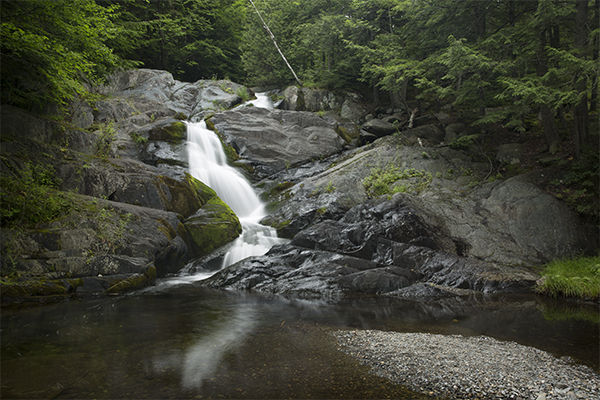 The top drop is of particular interest; the waters of Hay Brook travel down a chute, hit an upward sloping slide, change direction by 90 degrees, and crash into a small pool. 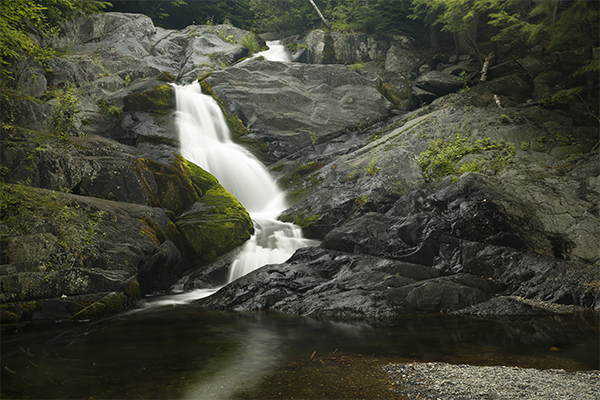 All drops are surrounded by varying species of moss—the colors yellow, beige, and green are represented—creating a colorful opportunity for some photographs. 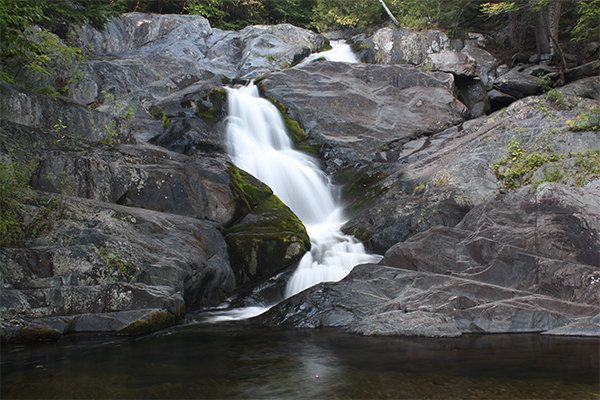 For the ultimate experience at this remote waterfall, reserve one or all of the three campsites that are located a few hundred feet downstream of the falls. 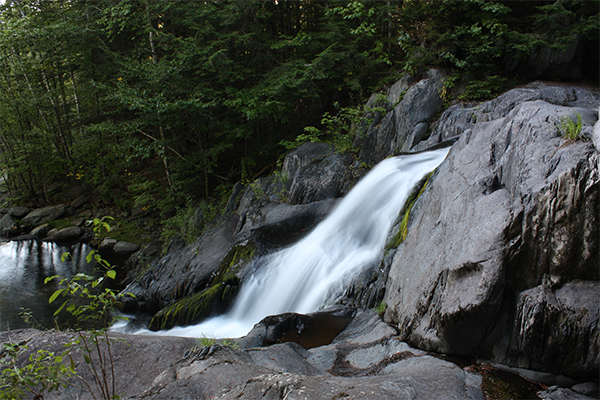 Refer to the website of North Maine Woods, Inc. for information on these and other great primitive camping opportunities in the area.